As a Marketing Services Provider you have a lot going on. Chances are you’re managing a variety of print types including offset, large or wide format and digital inkjet and toner, as well as coordinating mailing. Upstream, you’re offering creative services to feed print, which requires managing data and providing Customer Relationship Management (CRM) tools and expertise. You may also be offering fulfillment services and solutions. All of this impacts your business processes, from estimation through to reporting. As an MSP, you’re also likely integrating print with other highly-customized and personalized programs. The combination of all of these factors can create a lot of pain in your operations, as you’re continually faced with the challenge of maintaining numerous spreadsheets, applications, and databases to run your business, without having one source to access and control them. So what is an MSP to do? More and more, MSPs are turning to a Print Management Information System (MIS) to take control. Let’s take a look at why it might be time to consider a Print MIS platform for your shop. Print MIS is technology that spans your operations and helps you connect all your critical, but currently disconnected programs, systems, process and tools. By connecting, integrating and providing information for job tracking, job estimation, reports, and CRM capabilities, a Print MIS helps businesses centralize activities so they can more effortlessly navigate the volume of information needed to drive success. A Print MIS can provide the foundation that allows you to scale efficiently throughout your journey. For example, at Avanti we do this through a modular approach, allowing you to connect and manage your highly customized and personalized programs that span multiple lines of business, while also reducing manual tools and processes such as sending spreadsheets across departments. By removing the challenge of tracking down status and job information from your daily operations, you can save as much as 30% of your time. This helps drive costs down, improve efficiency, complete more business in a day and deliver superior customer service. With Avanti Slingshot there are over 20 modules, from sales orders to estimating, to CRM and reporting, to make sure your MIS platform works for you. Investing in a Print MIS is a big decision. And while it will likely create some pain as you switch, it’s your sure path out of the painful trap you are in today with your current non-connected systems. That’s why more MSPs are taking the leap onto the Print MIS train and putting themselves in a position for better growth, service and profits. Is Avanti’s leading Slingshot Print MIS right for you? Schedule a demo today to find out. 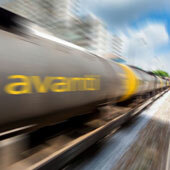 At Avanti, we have answers and we look forward to helping you complete your journey to becoming a successful MSP.